I have a bad habit of being very non-committal with certain things. Hairdressers, makeup brands, recipes. I always think that once I have found something that I like that there must be something better out there so generally always try new things in the hope that I will find the holy grail of whatever I am using / making. 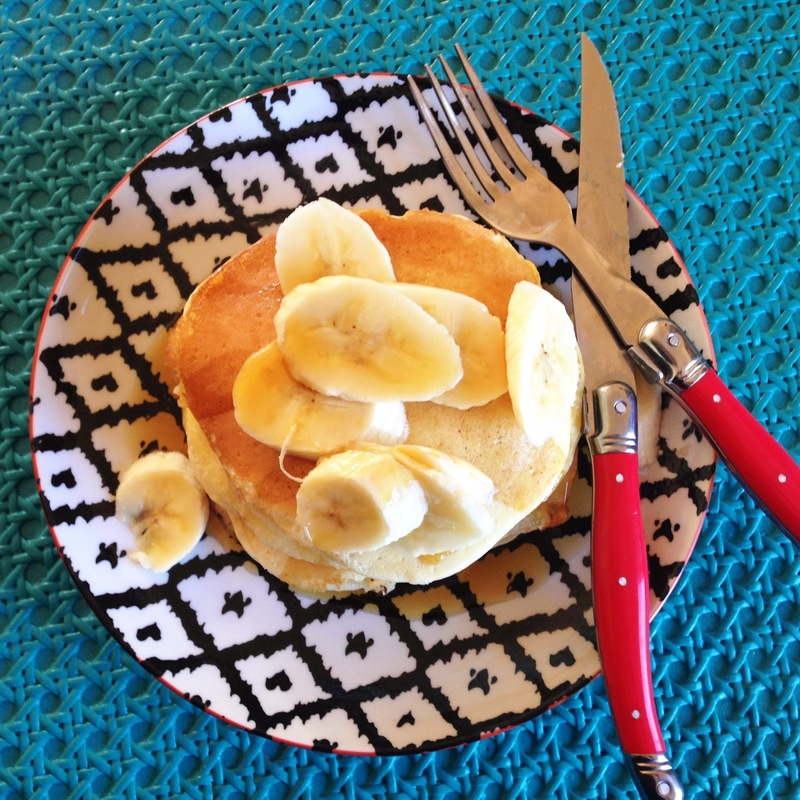 Pancakes are a love of mine from way back. When I was a kid, crepes were the go, but then I was introduced to fluffy pancakes at a friends house. They were very sophisticated in the 90's and had the pre-made mix that comes in a little plastic bottle and you add milk or water to it. I was enamored. 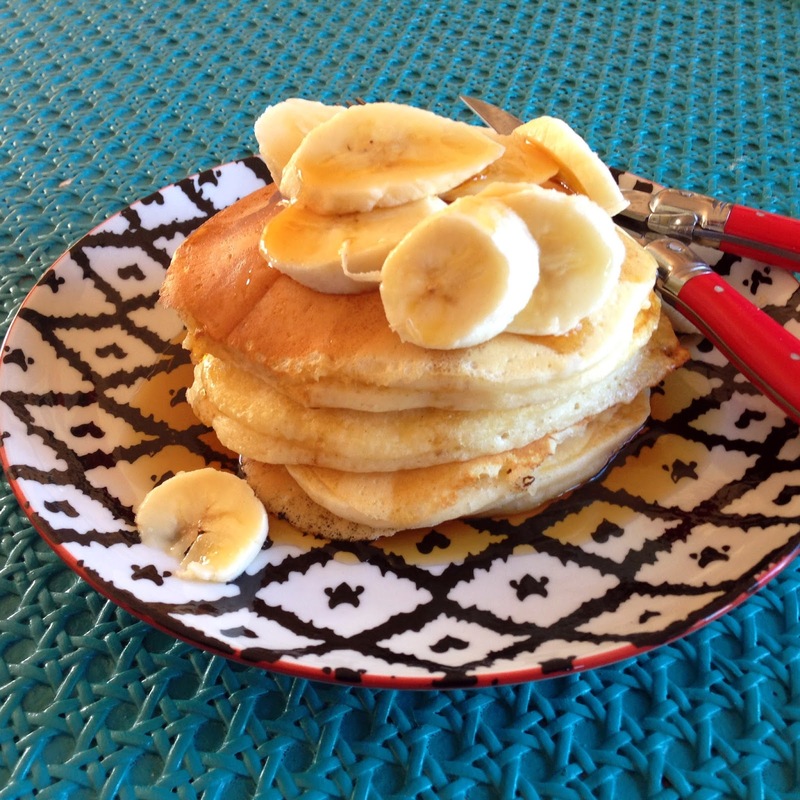 From then on, my breakfast of choice when eating out or at home has been pancakes. I used to use a Marie Claire recipe and was quite happy with that but I wanted them fluffier! I Googled some buttermilk pancake recipes online but they seemed a little long winded for the morning so then I turned my eye to the buttermilk container and decided to try their recipe. There is no need to test a pancake recipe any further. I have found the ultimate, and from the weirdest place, the recipe on the side of a buttermilk container! I changed the recipe a little as there were blueberries and orange zest in it (which are awesome additions but wanted something plain). Check out the elevation on these little suckers! Buttermilk notes: often there is a suggestion that you can make your own buttermilk by adding an acid to milk (i.e. vinegar or lemon juice). I find in this case it is better to use buttermilk that comes in a container. It makes the pancakes rise more. 1. In a mixing bowl, add sugar and flour and mix with a whisk. 2. Melt butter in microwave and allow to cool slightly. 3. Add buttermilk and egg in a separate bowl and whisk lightly. 4. Make a well in dry ingredients, add in buttermilk/egg mixture and stir. Once there aren't many lumps, whisk in slightly cooled butter (and zest if you are using). 5. Heat a non-stick frying pan to a medium/low temp and melt a smidge of butter. 6. Drop 1/4 cup amounts (or however big you want them) of pancake batter in pan and cook until bubbles rise to surface, then flip. 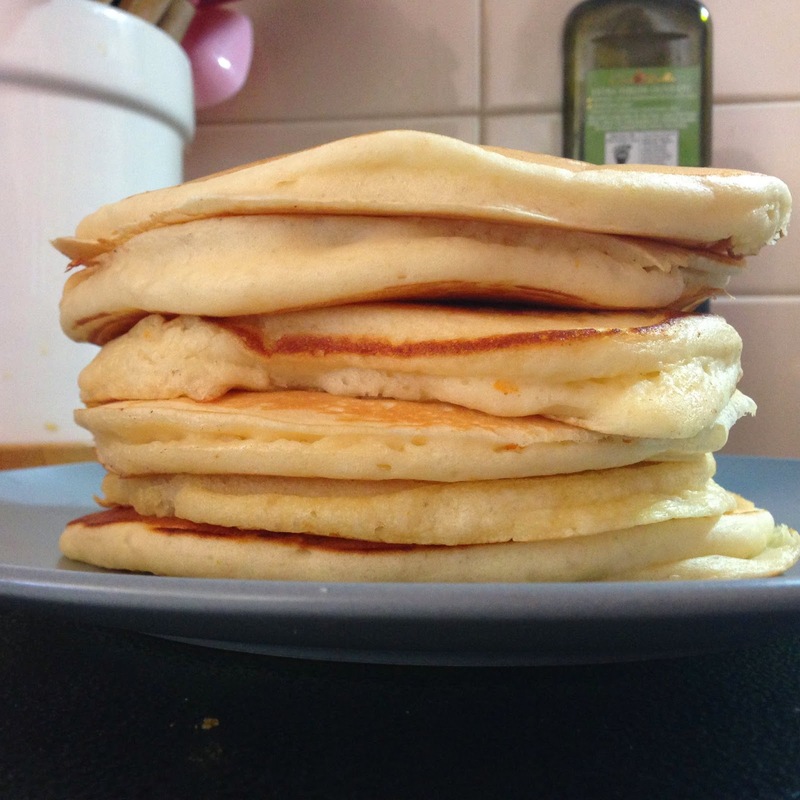 Cook for a small amount of time until the other side is golden and when you press lightly on the pancake it bounces back. Et voila! 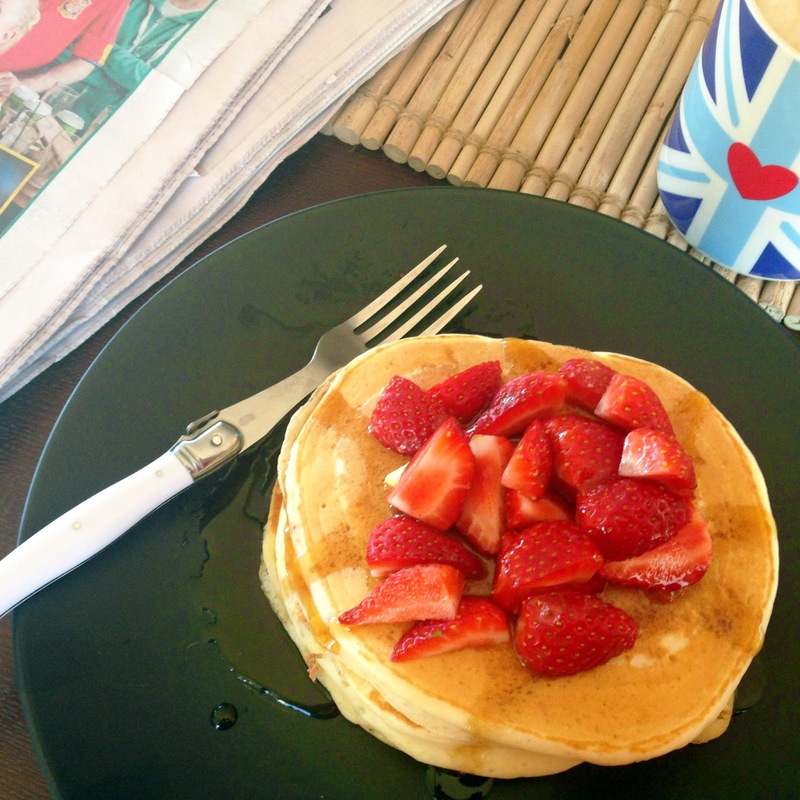 My favourite thing to eat with pancakes is maple syrup and banana or strawberries, with lemon juice and sugar coming in a close second. Get these suckers into your weekend rotation!